Which Breed Of Dogs Is Considered The Universal Blood Donor For Their Species? Pandora's Box Wasn't A Box At All But A? Blood donation for canines is very similar to blood donation for humans—with, of course, the additional complication that not many people realize dogs can donate blood, or that donated blood is needed in severe emergencies just like it is with humans. But otherwise, it’s largely the same. Dogs have blood types, some types don’t mix with other types and some are great for donation because they are universally accepted by the recipient. Among these blood types, described as DEA (Dog Erythrocyte Antigen) types, dogs that are DEA 1.1 negative are considered universal donors. 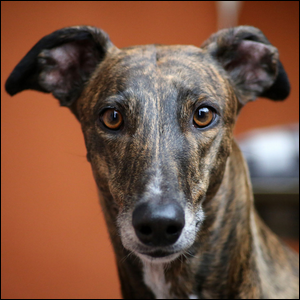 While this blood type can appear in many different breeds of dogs, it’s the most common blood type among greyhound racing dogs. Not only are greyhounds more likely to have DEA 1.1 negative blood, but they have three additional attributes that make them ideal donors. They’re larger (small dogs are poor donors due to their size), they have big veins in their necks very close to the surface (which makes the actual donation process easy), and, as a really great auxiliary benefit to the recipient, greyhounds have significantly higher red blood cell counts and oxygenation levels than other dogs (they were, after all, bred to be what amounts to Olympic level runners). Image courtesy of Vincent Eisfeld.